Popular veteran actress S Varalakashmi reached the heavenly abode on September 22nd at 8 pm. 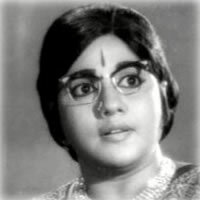 The 84-year-old actress was survived by her producer husband AL Srinivasan and a daughter and son. S Varalakashmi has acted in over 500 films including Panama Pasama, Mattukara Velan and Neethikku Thalai Vanangu. She was admitted to a hospital six months ago for a leg fracture and was bed ridden even after the surgery. Her end came on September due to respiratory problems.